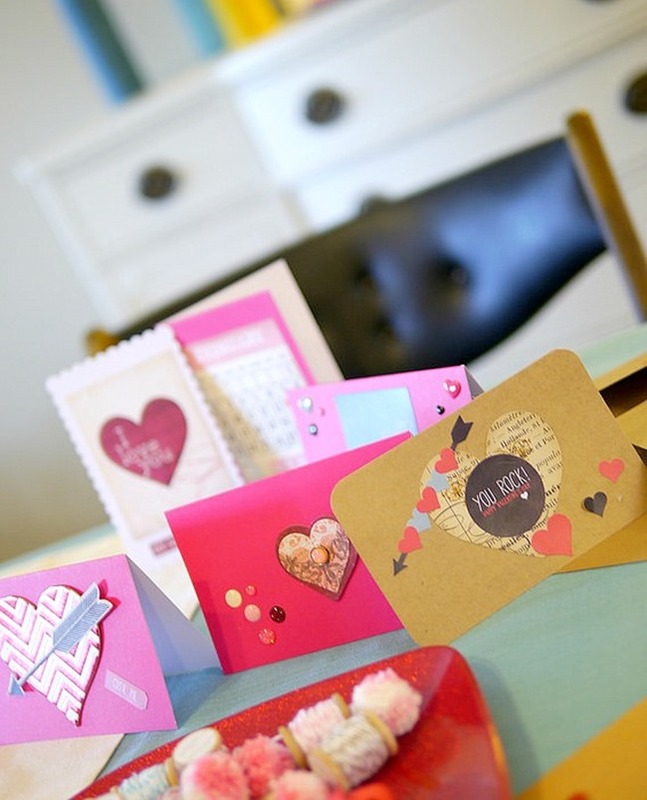 Create your own Valentine’s Day cards and have a blast! 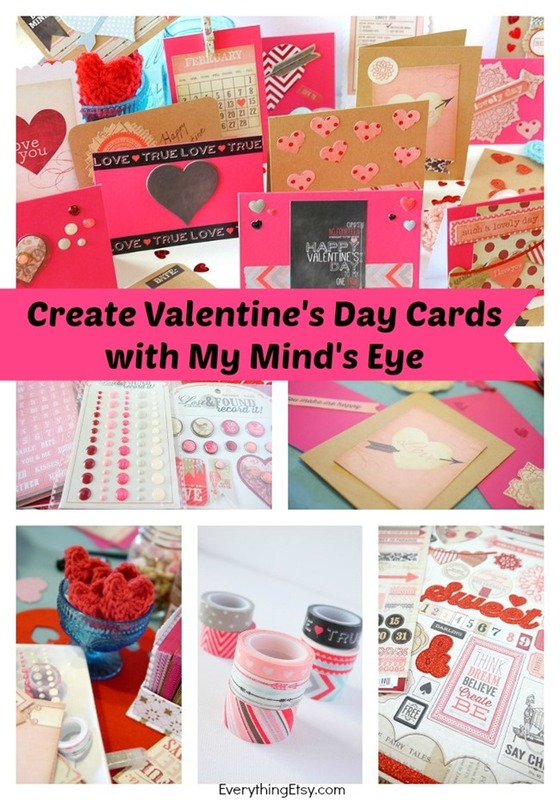 I recently received a collection of My Mind’s Eye scrapbooking supplies and my first idea was to make a bunch of beautiful cards for Valentine’s Day. 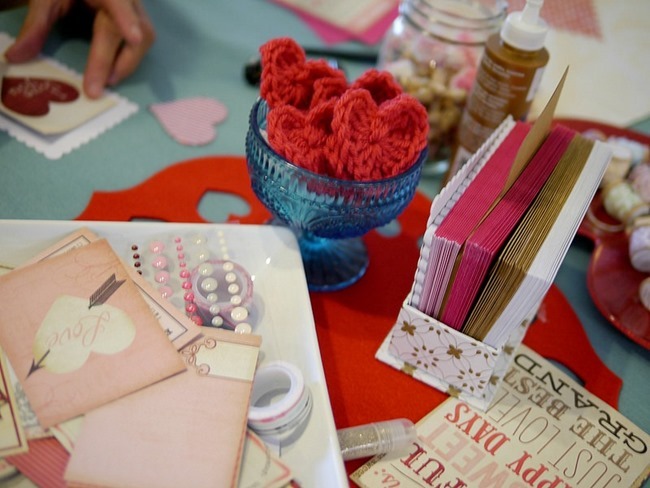 Seriously, these creative goodies made it so easy and I love how they turned out. I invited my mom over to have a little card making party! She’s good at this kind of thing…and she IS the one that actually taught me how to make handmade valentines when I was little. So why not share this beautiful stash of glittery goodness!! See what I mean by glittery??? Pretty! 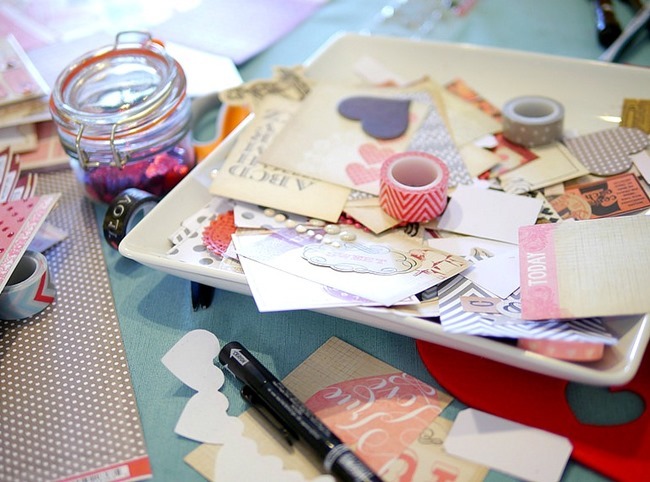 I had the table covered in cards, washi tape, stickers and a ton of pretty paper! I love, love, love all the arrows!! Making cards is messy business! Many of these supplies are stickers and we only used a simple glue stick every so often. It was simple! My mom made about 10 more cards than I did, but I took some photos…so that’s my excuse. 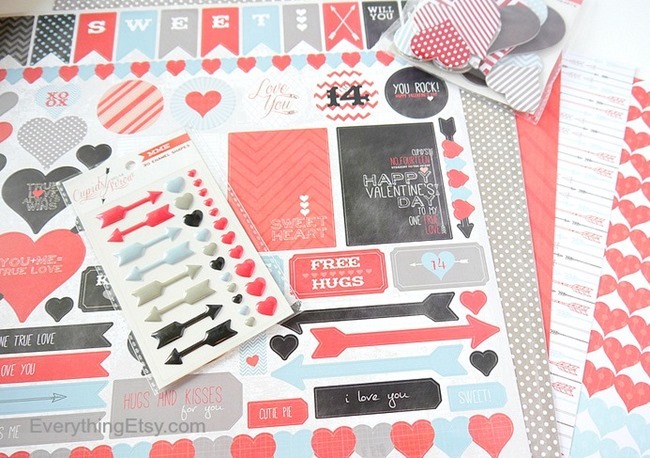 See the full collection of Cupid’s Arrow here and Lost & Found supplies here. I hope you’ll take some time to make a few Valentine’s Day cards this year! 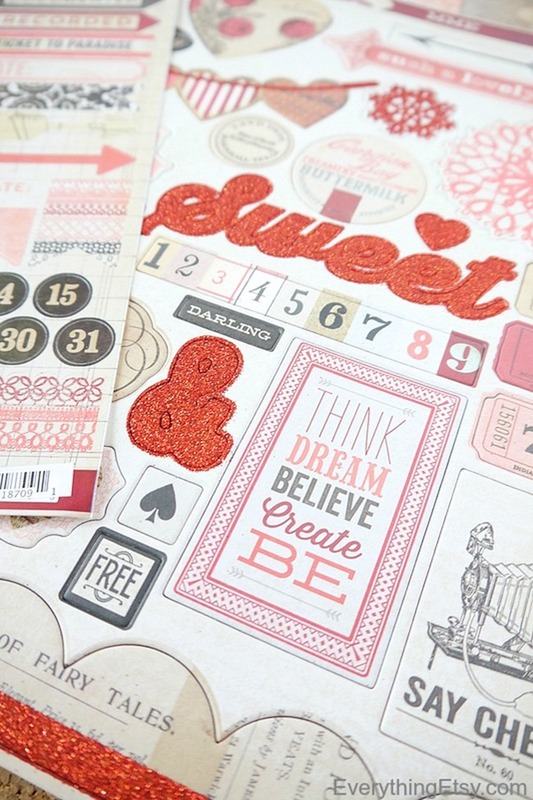 It really is fun…and when there are beautiful supplies out there like these, it makes it so much easier to be creative! Thanks for stopping by…I hope you have a fabulous Valentine’s Day! Cute babies on your blog! !